I have done many things in my life, worked since I was 13, sometimes I worked non-stop. So the last year and a half, I haven’t worked that much and I’ve traveled all over the west. Seize the moment has been my motto and if someone asks me to do something fun, the answer is always yes. Each phase of life is different but I strive to have more freedom and fun, especially now that I am in my fifth decade of life. I work at being present in each moment, like my dogs. They are the best examples of carpe diem. I study them, wondering what they are experiencing, what they are smelling, being interested in their discoveries. I am reminded by them to enjoy the time/moment/day we are in. What I love about the phrase is the end of the definition “without concern for the future”. That’s the tough part for humans, easier for animals. Dogs can lose themselves on a walk, especially if they are off leash. 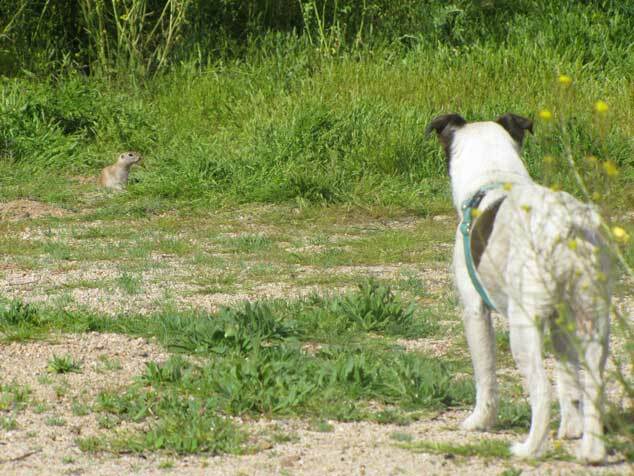 My JRT, Mick can lose himself if he sees a rabbit. He really leaves the planet and is so in the moment, harm could come to him if it’s around. I’ve watched him in a field when in this mode and it’s so interesting to see him so focused, nothing else matters in the world. Today I saw a border collie this way over the ball. 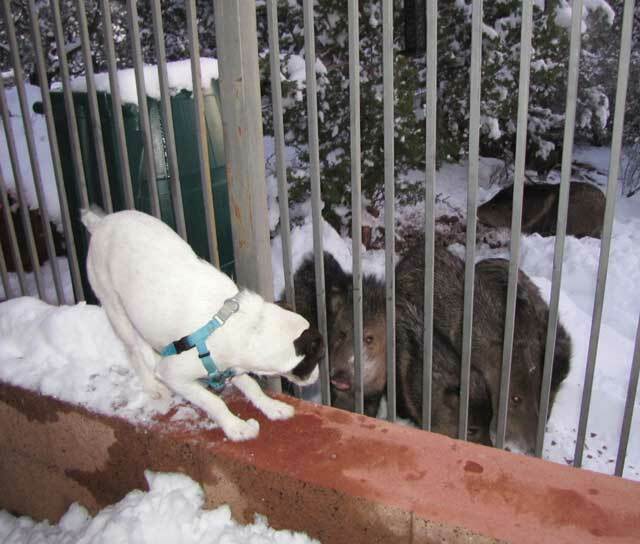 His Mom had a ball in a chuck it stick and then another dog came to visit the Border collie. The BC did not even notice the dog all over him; he was totally focused on the ball. Mick transfixed on a prairie dog. He could be in this position for hours if I left him. Artists, runners and more experience this. I recently spent time with an amazing jeweler and she expressed her love of making art, and how important it was to her. I asked her if she loses herself when in the groove and she said, “Oh yes”, she can work for hours and not even notice the time slipping by. There’s also, carpe diem in being with another person and your dog. Giving your full attention to the person across from you, on the phone with you or your dog when on a walk. One of my favorite holistic Veterinarians Dr. Peter Dobias wrote a great article on being present when you are walking your dog, put the phone on airplane mode and enjoy the walk! In the meantime, I will enjoy the little moments in life, and when I’m most at peace, walking with my dogs. Practice today, notice the small moments, pay attention to what your dog does, smell the wind, smile back. A couple of quotes I like on the topic. That is so amazing how engrossed they can become! A beautiful post Juliet thank you! You clearly have a keen eye for observation, wondering about your dogs being in the moment – and the photos of them are lovely! I love walking – it’s my main mode of exercise in a normal day. Obviously otherwise if I go hiking or climbing. But I like to seize the day and what it offers ..
Once again , very nicely said! Thanks Miss Peg, my loyal follower!!! Living in the moment more and more each day is the goal. Life has a way of preventing that, but I fight back, when possible. Smile back — always the way to go. I try to both smile back and smile more. Thank you for the great post. Thanks Silvia, staying focused is always a bit of a challenge, but hopefully since we are aware of this we can win with more time being in the moment. I never thought about it until reading your post, but I do the same thing when I’m writing. I’m also learning to do the same when visiting with friends, now that I’m retired. many coffee dates or lunches tend to stretch out for four or five hours. Life is good! Enjoy the A to Z! Scarlett, I love that you can loose yourself in your writing and being with friends, so great. Happy retirement, enjoy! Thanks for the comment. Beautifully written. Thank you for sharing. I struggle with being in the moment because of continuous distractions but I do love to walk/hike in nature which brings me back to my happy place and reminds me of the many things I am thankful for. hello Debra, I struggle with distractions too, my walks are the most focused I get all day!